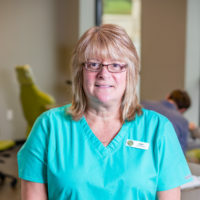 Cindy has been a mainstay on our Herm Orthodontics team since 1985. She anchors our clinical team and also makes the vast majority of our retainers. She is especially known around our office for going that extra mile for her teammates and patients. Cindy graduated from Marshalltown High School and earned her dental assisting certificate from MCC. She and Mark live in Marshalltown with their cat Harley. Cindy enjoys motorcycling, reading, gardening, and spending time with her two daughters, Sidney and Maggie. She is also a heckuva good cook! Copyright © Hermanson Orthodontics. All Rights Reserved.